Prudential and Blackstone's recent acquisition of £12bn of buy-to-let assets from UK Asset Resolution represents another move towards great portfolio diversification of the real estate assets held by larger life offices. Clearly, life office general accounts are no strangers to real estate investing, although with the notable exception of equity release portfolios (typically used to back annuity liabilities) the focus has commonly involved commercial real estate assets, as the issues involved in rating and securitising more granular residential portfolios have on occasion proven difficult to overcome. However, the search for high quality illiquid credit continues - particularly in structures which have the capability to offer a range of maturity profiles. A variety of new approaches have moved life companies towards greater exposure to the residential category: ground rent securitisation, social housing based projects involving a mixture of debt and equity participation with developers, and urban regeneration initiatives are recent examples. UK insurer Prudential and US private equity firm Blackstone have bought former Bradford & Bingley loans for £11.8bn in one of the largest government asset sales in Europe. The loans, which are mostly buy-to-let mortgages still being repaid by borrowers, were sold at a discount of about £400m to their book value to reflect the low yield. Ray Boulger, of broker John Charcol, said most of the borrowers would be on interest rates as low as 2 per cent. The sale process, run by UK Asset Resolution on behalf of the government, comes more than a year after a record-breaking £13bn sale of former Northern Rock mortgages to private equity firm Cerberus. 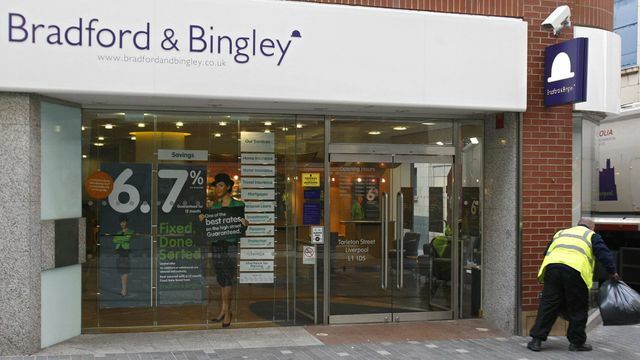 The mortgages in the latest sale were issued by Bradford & Bingley before its collapse, which led to its rescue by the taxpayer in the 2008 financial crisis.